It’s interview time! Why not take a break from all that Christmas shopping? Put your feet up to read my interview with fellow Devon based author, the lovely LE Willetts. I think it was probably my first ever Scripture exam at school (and yes, I am aware that I am about to take the issue of procrastination to a whole new level). “In your own words, describe the story of the Virgin Mary.” And so, aged about seven, that is exactly what I did. The only problem being that I wasn’t exactly a model student back then and as such, I couldn’t even recall who Mary was. Nonetheless, not one to be dispirited by my fellow students all madly scribbling around me, I promptly sharpened my pencil and began to write down my version of events. At around the same time, I began to send off submissions to young magazines with varying levels of success. (The most embarrassing probably being a [appalling] poem entitled ‘I had a little pony’ which was published in Pony Magazine.) I definitely never made an active choice to be a writer – the urge, it seemed, had simply chosen me. Over the years that followed however, life started to get in the way. (Oh, how I bet Pony Magazine and their readers missed me.) I still wrote, of course I did, because it was as much a part of me as the organs that kept me alive. I wrote letters to my mum, emails, shopping lists… but then somewhat inevitably, I woke up one day and realised that they didn’t really count. Unless I did something about my dream (if that’s what it was), it was never likely to become a reality. And so the adult submissions began (without reference to satin sheets and mirrored ceilings) and the success that followed spurred me on, but eventually I wanted more. I suspect that deep down, I held the belief that writing a novel would define me as the *proper* writer that I was always convinced that I would one day be. through the month that once again, I was failing drastically to keep up with the daily word count and so I would give up. Then in 2014, I had *success at last* and by the end of the month, I had achieved in excess of 50,000 words of complete and utter drivel. 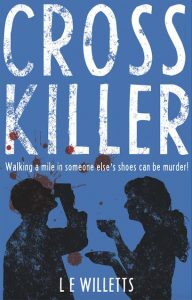 After a lot of hard work and the numerous edits that followed however, ‘Cross Killer’ (which has had more titles than Henry VIII had wives) was born and was finally published at the end of April 2016. Do you model any of your characters after people you know? Any good solicitor would probably suggest that I have some form of legal disclaimer in place before I answer that question but I think that all writers probably inadvertently do this. My *proper* job involves running a B&B on the coast in South Devon and I suppose without really even meaning to, I spend a lot of time studying my customers and observing their different character traits (and flaws). I do however have a sign in the guest breakfast room that warns all customers to behave or they will appear in my next novel so they have at least been suitably warned! Thankfully though, by the time I am done and I have merged numerous people into one person, I don’t think many would recognise themselves in my characters (and if they did, I certainly don’t think they would publicly admit as much). My type of research was probably good enough reason alone that I simply *had* to publish the book … at least then, if the police ever came knocking and confiscated my computer, I would have solid evidence that I was typing various alarming questions into the Internet search engines with good reason. 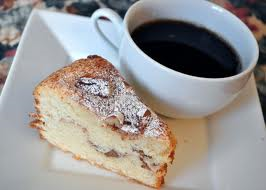 I do however often think that the modern day writer is a little spoiled when it comes to research. Presumably, in the good old days before the invention of the Internet, writers had to methodically make a note of any items requiring further clarification and then visit a library (assuming they didn’t know an individual personally who was an expert in the field) and wade through an encyclopaedia (I just about remember them) for the relevant answers. Google does of course come with its own set of problems and much of my writing day tends to get lost scanning the Internet to the degree that more often than not, I can’t actually remember what it was I was looking for in the first place. As a general rule of thumb, I prefer first person because it allows me to get into the head of my characters. Suddenly, I am living their life and am able to picture exactly what they are thinking or what they are going to do next. This passion and first-hand knowledge flows easily onto the page for me. For example, in the book that I am currently working on, I really like my killer and I want my readers to like (or at the very least empathise with) him too. By writing certain chapters in the first person narrative from his perspective, I find it easier to give some logic and motivation to his actions that might otherwise simply be construed as evil (and a tad deranged). First person story telling does however come with disadvantages and at times I find it quite limiting. Describing a character clearly for example (let alone honestly or objectively) can become very difficult and I sometimes find it hard to introduce dialogue into the narrative if the character is the one who is effectively telling the story. I am definitely not a ‘plotter’. A little like their inventor, my characters refuse to be told what to do and so whilst I prefer to have a basic premise in mind, any detailed planning usually results in being a complete waste of time. My mother once accused me of always doing things the hard way and so far as my writing is concerned, I think she certainly has a point. By not carefully plotting my story out in the first instance, I do tend to meet a lot of dead ends along the way. The re-writes etc. also tend to be a lot more intense because I also need to concentrate on time lines and so forth, which can sometimes be very hard to reconfigure. That said, if I don’t know what my characters are going to do next or how the story is going to evolve let alone end, it keeps me interested. I really enjoy getting to know my characters better. Some of them are absolutely fascinating, not to mention great fun and I love discovering what antics they will ultimately get up to! In the ideal world, my favourite time to write would be in the morning because my head is literally flowing with ideas and I am definitely more productive after a good nights sleep. Unfortunately, because I run a B&B, I am rarely able to utilise this particular time of the day. I suppose I could try, but I suspect that my customers might soon become a little disgruntled at the lack of breakfast because ‘my creative juices were flowing’ and so I just simply *had* to get the words down. As such, I try to get some writing done in the afternoon if I have the time (although hands up, sometimes a ‘little nap’ wins on that front) and again, I will try to do some writing in the evening once my guests have arrived or whilst I await their arrival. I have to be careful though. Whilst I can write some useful stuff ‘under the influence,’ I find it is also crucial to know when to stop. (The wine and the writing.) Many a time I have happily let my head hit the pillow, silently congratulating myself on the literary masterpiece I have just written only to wake up and wonder what on earth happened to my piece of genius… and how or when it came to be replaced with complete gibberish that was only fit for the bin. Probably the fact that I actually did it – the fact that I actually finally achieved what I set out to do all those years ago. Also the knowledge that having dipped my toe in the water, I know that I can do it again. And hopefully again, and again, and again. Also the fact that people are enjoying it – that is an incredible feeling and there is nothing more satisfying than being stopped in the street, or emailed by someone who just wants to say that they’ve read your book and how much they enjoyed it. Without a reader, a writer can’t exist and so when you discover that they have gained pleasure from something that you have created from nothing… well, they should definitely be able to bottle that feeling! Sent to boarding school at an early age, LE Willetts grew up in a small town in Worcestershire. ‘We were like one big family’, she fondly recalls. ‘In many respects, we still are.’ When not tormenting the teachers, school holidays were spent tormenting her brother instead in the family home (also in Worcestershire, and formerly owned by legendary rock drummer Jon Bonham of Led Zeppelin). In her early twenties, LE Willetts moved to Birmingham, working amongst others for KPMG (one of the worldwide leading providers of audit, tax and advisory services) and Williams de Broë (one of the oldest and most prestigious Private Investment Management companies within the UK). ‘I suppose I just got bored with being subservient,’ she responds when asked why she decided to jack it all in and go solo. ‘Some people are born to work for others… and then there’s the rest of us,’ she continues with a wry grin. 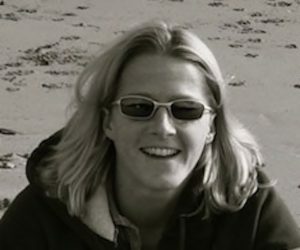 Having invested in the Birmingham property market over the ensuing years, in 2005 LE Willetts was once again on the move and leaving almost 30 tenants behind her, she found her new calling in life – running a B&B on the coast in Dartmouth, South Devon. ‘Reading, writing, walking (and snuggling) with my dogs and anything in support of animal welfare,’ she replies when asked what she most likes to do with her free time. You can follow LE Willetts on Twitter: @lewilletts and Facebook: @lewilletts or via her blog and website. Shoes had always fascinated Rita. They were her guilty secret. The craving she never quite seemed able to satiate. Even as a child she had displayed an unhealthy interest, always remaining far more interested in the shoes her mother’s visitors would leave by the front door than the actual people who had left them there. Hours she would spend online sometimes, checking out image after image of ladies’ feet. Fat ankles, slim ankles, mediocre ankles – all the while trying to decide what colour and style would suit her best. But nothing could beat the real thing. Experiencing first hand the feel, the colour, the shape and even the rich aroma of expensive leather so strong she could almost taste it. Which was why she found herself pounding the pavements that particular morning as she desperately searched for her next suitable pair. Nose pressed up against the window for a better look at the shoes on display at Discount Daphne’s, the latest bargain basement store to spring up on the retail park selling everything from contemporary chandeliers and designer handbags and shoes to verruca treatments and adult incontinence pads, the staccato click of approaching heels grew louder behind her and she turned slowly to get a better look. Loopy Lou. Interesting. Rita watched in fascination as Lou, complete with her headphones that everyone knew were attached to nothing, ground to a halt and stood motionless as she glowered angrily at a Mercedes entering the car park. Never in a million years would Rita have ever associated the mad woman who boogied around the parked cars to her very own special music with the elegant specimens on her feet. Jimmy Choos. Rita prided herself on her ability to detect a quality pair of footwear from so many of those cheap imitations that littered lodgings the world over, and there was no question in her mind that Lou was wearing the real McCoy. The attention to detail, from the finely crafted straps to the minute metal buckles, was absolutely exquisite and she licked her lips in appreciation. Tentatively stepping as close as she dared for a better look, Rita was painfully aware of the trouble she had got into the last time. But it wasn’t like she was hurting anyone. She was only looking, after all. Just so long as she didn’t touch she’d be fine, and so determined not to draw attention to herself, she kept what she considered to be a safe distance as she carefully studied Lou and those sensational boots of hers. They really were absolutely breathtaking and Rita felt the familiar desire to try before she decided to buy kick in. The urge to touch them, or better still wear them was immense, but some people could be so peculiar when she stopped them in the street to ask if they would mind. But what else was she supposed to do? Look at the trouble she had got herself into when she had last decided to dispense with the niceties and just help herself. Hours the police had held her until they finally seemed to accept that it was all just an innocent misunderstanding. Rita crept a little closer towards Lou as she deliberated what to do, the memories of her ex that she had hoped she’d put to bed once and for all springing to the forefront of her mind once more. Rita had really grown to love her. She’d thought she was different. And she was different. She never nagged. Never pressured her into doing anything she didn’t want to do. ‘What’s mine is yours,’ she had declared happily when they had finally moved in together. Wasn’t saying that when she borrowed her favourite outfit without asking though was she! Rita felt the all-familiar knot of anger tighten involuntarily in the pit of her stomach. Nobody treated her the way she had done and one day, when she was good and ready, she was going to pay handsomely for that mistake! Many thanks for such a wonderful interview Lucy.